*While I'm in Europe - today will be my second and final full day in Milan! - I've lined up some fabulous guest posters. Please welcome Scarlet from Books Before Bed! I go by Scarlett and my blog is Books Before Bed. I've been blogging since late 2010 and love the interaction with other bloggers and feeding my addiction of finding good books to read (and sharing what I think are good books with others!). I mainly stick to fantasy, sci/fi, some paranormal, mostly in the YA/MG bracket, but sometimes adult, with the odd classic thrown in now and again. I am SO glad I didn't let the cover of this one put me off. It's not the worst out there, but it does nothing to portray just how awesome of a character Tess is and what she has to go through. I loved the intrigue that went on in this book, the idea was really unique. Oh, and best selling point? Lots of slow burn romance. This is a more recent release title and I am DESPERATELY hoping that Ms. Haskell writes more. Not that it ends on a cliff hanger, but the protagonist, while being a young girl, is so easily relatable and I want to see how much more she grows and how things develop with....ooh, I can't give it away. But this book isn't just about the princess curse, that only comprises part of it. There are some other fairy tales/myths worked in, but I don't want to give away what happens so I won't say which ones. While definitely MG, it didn't feel like it. I felt more from these characters than I do in a lot of other YA books sometimes. Young Countess Meliara swears to her dying father that she and her brother will defend their people from the growing greed of the king. That promise leads them into a war for which they are ill-prepared, which threatens the very people they are trying to protect. But war is simple compared to what follows, in peacetime. Meliara is summoned to live at the royal palace, where friends and enemies look alike, and intrigue fills the dance halls and the drawing rooms. 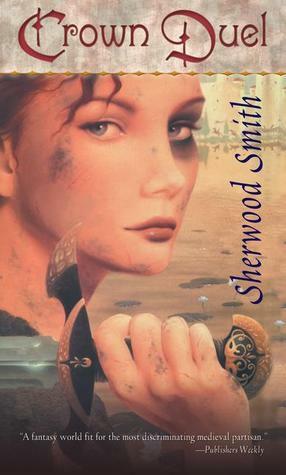 If she is to survive, Meliara must learn a whole new way of fighting-with wits and words and secret alliances. This one is definitely one of my all time favorites. I recommend getting the book with both Crown Duel and Court Duel because you won't want to have to wait to see how things end up. This has a lot of chasing and actual fighting, but transitions into word play and making alliances, etc. This one too has a great love story (I really can't pass those up, can you tell?) and is very satisfying. I like books about princesses and being a decoy. It's always a nice plot twist. I will check these books out. Thanks for sharing! I love Crown Duel and Decoy Princess! I guess that means I really need to check out The Princess Curse! Great post! Thank you for these recommendations because I absolutely love these types of protagonists! I've never even heard of the first one, but I really want to read it now - maybe in ebook form. Heh, I would've passed over that cover, too, without knowing anything about the contents inside. I've read the Princess Curse and enjoyed it. Will have to check out the other two. Great post! 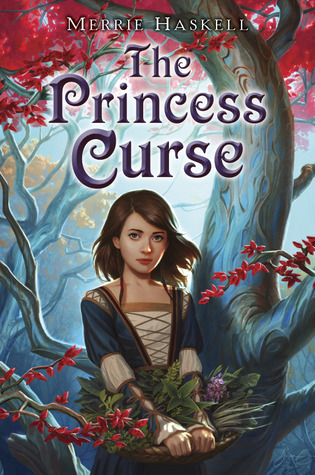 I have only heard of The Princess Curse and that is on my to-read list. 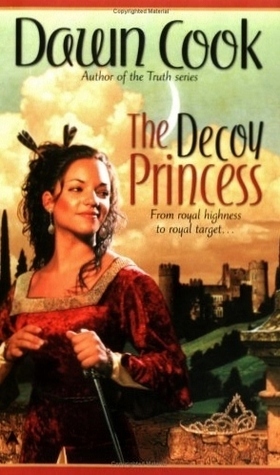 Both The Princess Decoy and Crown Duel sound like really interesting books, I will have to check them out as well, thanks for sharing!